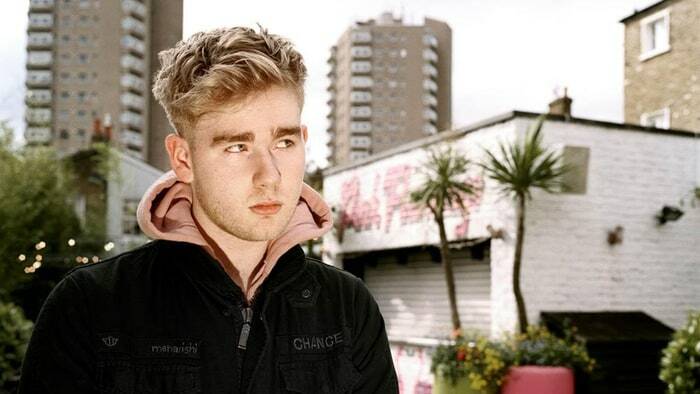 Alex Crossan, better known in the music industry as Mura Masa, is a 21 year old electronic music producer and song writer. His debut, self-titled album Mura Masa, was released earlier this year in July. Since then he has been nominated for two Grammys including one for Best Dance/Electronic Album and one for Best Recording Package. The Mura Masa album includes songs like "Messy Love," "What if I Go," and my personal favorite "Love$ick." Mura Masa is able to combine many genres into his music and create songs unique to the electronic genre. If you're interested in hearing more from Mura Masa and other artists like him then be sure to tune into WNJR 91.7FM! 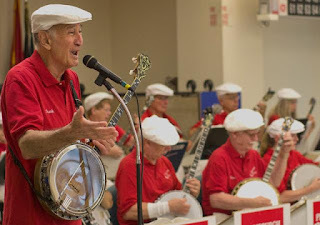 Tonight at Olin Theatre, the Pittsburgh Banjo Club will be performing at 7:30pm! The Pittsburgh Banjo Club includes trumpets, tubas, bass, and, of course, Banjos. Their colorful outfits and happy music will certainly put a smile on your face. As a non-profit group, the Club donates all of the money they make to local charities. They have donated over $120,000 to local Pittsburgh charities. They perform sing-a-longs, banjo solos, dixieland, polkas, and music from the '20s and '30s. Tickets are available at the Olin box office! 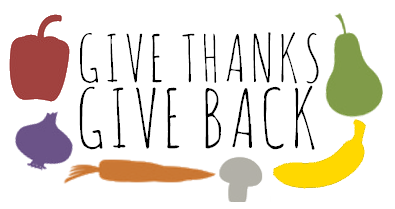 Thanksgiving is quickly approaching, that means that there are plenty of opportunities to give to help the less fortunate! Presidents' without Borders is hosting a plastic bag drive until the end of November. The plastic bags will be woven into mats for the local homeless population. There are bins around campus collecting the bags, including G&T's, the lobby of Commons, and the library. Everybody's got plastic bags so put them to good use! Food drive for the Salvation Army Emergency Food Pantry is happening at W&J from November 13th-22nd Requested items are: Peanut Butter, Jelly, Tuna Fish/canned chicken, boxed milk, pasta & sauce, soup, taco kits, cereal, pancake mix and syrup, canned veggies and beans, rice. KISS Stuff-A-Bus collection for the Marine Corps Toys for Tots will start accepting donations of new, unwrapped toys on November 27th until December 1st, so pick up some toys to give to that during your Black Friday shopping! Here is a link to see the hours of W&J campus services for the rest of the week. WNJR will still be playing music all break. Happy Thanksgiving! Tyler Minford is a Los Angeles producer, better known by his stage name Louis Futon. I first heard of Louis Futon through ODESZA's Foreign Family Collective label, when they released the song "Wasted On You," which can be heard below! Since then Louis Futon has released many new songs including "Surreal," "Royal Blood," and his most recent release was released this morning and is titled "Restless Sea." Louis Futon's work is dynamic and combines various genres including electronica, hip-hop, and R&B. Louis Futon has toured previously with Louis the Child and is currently on tour with ODESZA. The two artists will be in Philadelphia next week from the 20th to the 22nd, so if you are able to get your hands on some tickets I highly suggest checking them out! I know I'll be there! If you're not in the area be sure to see if they are coming to a city near you! Otherwise be sure to tune in to hear more from Louis Futon and other artists like him at 91.7FM WNJR! Happy Thursday! As the week is approaching the weekend, now is the time to listen to the hit single by the one and only Camila Cabello. Camila is the artist from Miami, Florida that started her vocal career in 2012. She is previously known for being a member of the group Fifth Harmony, but she decided to leave the group and peruse her own solo career. It's easy to say that this decision has been great due to her releasing Havana and it reaching top ten in numerous countries, while also being number one in the UK and Canada. At the age of 20, Camila is having a successful career and has many more hits to come. 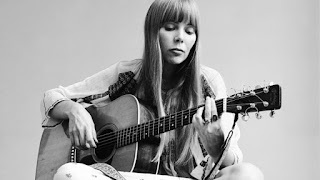 Here is Havana to lead you into the weekend, hear great music from a great artist, and even watch a hilarious video that seems to be a mini movie. Talk to you next week! Happy November! Hope you all had a safe and fun halloween! This weekend is full of fun activities, but the Latino Cultural Association will be having their second annual festival. This event will be taking place in the Rossin Ballroom on Sunday Nov 5th from 5:30pm to 7:30pm. There will be free food, a live band, prizes, and other small activities! Make sure to stop by and learn about different cultures with great music and food! Hey guys! I hope everyone is ready for some new music! Pham was born and raised in Poland and began producing music around the age of 16. Pham released his first EP titled "Movements" in 2016, and has been releasing new music ever since. Pham also recently collaborated with Austin Paul to produce the EP titled "Ugly." Pham's music is very unique, and his goal is to combine multiple genres which can be heard in the songs "Alibi" and his most recent release "No Questions." A few of my personal favorite songs are "My Way" and "Movements." Be sure to tune into WNJR 91.7FM to listen to Pham and more artists like him!